Product Spotlight: Crest Audio’s Versarray PRO Powered Line Array | Northmar, Inc. 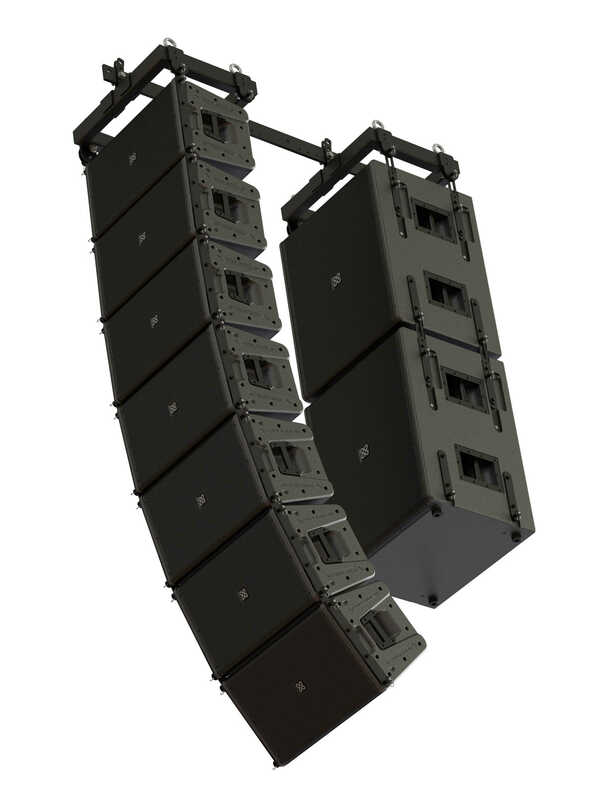 Recently featured in the first-ever Loudspeaker Showcase at the 2019 NAMM Show in Anaheim California, the Versarray PRO powered line array comprised of the Versarray PRO VR112 line array element and the VR-PRO 215 sub, Versarray PRO is an ideal choice for all mid-sized line array applications including live entertainment, theatres, houses of worship and more. With integrated Dante audio networking, built-in DSP, innovative flying hardware and world class components, the Versarray PRO powered line array delivers premium quality audio in a versatile, easy-to-set-up, networkable package. The VR112 benefits from Crest Audio’s latest-generation Mark III ribbon drivers and proprietary CLEAR FORM Waveguide for crystalline high-end reproduction. The low end is served by the 12” NEO Black Widow neodymium loudspeaker with dual 4” voice coils which works in conjunction with Crest’s patented Ram Air Cooling (RAC) design for even greater efficiency and power handling. The compact, flyable VR-PRO 215 sub, also with RAC design, features dual 15” Black Widow Low Rider drivers and delivers full power down to 35 Hz and a peak SPL of 135dB. Both elements benefit from 3000 W of available dynamic power. Versarray PRO is the perfect solution for pro audio applications requiring high output, flawless coverage and pristine high-fidelity audio in a compact, easy-to-deploy package.